The end of amphibious operations has been prophesised at various times during the past century. After the Gallipoli experience in 1915, many military thinkers in Britain and elsewhere believed that airpower, modern artillery, machines guns, mines and torpedoes and so on made it impossible to force a landing against a well organised defence. After World War II, which saw the greatest amphibious operations in history undertaken, Chief of Staff of the US Army General Omar Bradley stated that nuclear weapons precluded further large scale amphibious operations. In the contemporary environment much of the discussion is centred on the proliferation of Anti-Access / Area Denial (A2AD) technologies and ways of defeating them. Meanwhile, in Australia the decision to buy two new large amphibious ships has been criticised as lacking a utility to the ‘Defence of Australia’ and turning the ADF into a ‘one shot defence force’ that will be used ‘like the US marines… to storm from the Halls of Montezuma to the shores of Tripoli‘ (paywalled). Yet, despite the extremely difficult nature of these operations, time and again the utility of possessing an amphibious capability has been realised. In 1950, only one year after Omar Bradley had announced its death knell, the US military launched an operationally-decisive amphibious landing by a two division assault force at Inchon, South Korea. In 1956 the British had to pull their amphibious capability out of mothballs to conduct an amphibious landing during the Suez Crisis. This same capability proved exceptionally useful a few years later in Kuwait in 1961. The United States Marine Corps (USMC) landed troops in Lebanon in 1958 and made extensive use of tactical amphibious landings in the Vietnam War. During the 1980s, amphibious forces were used extensively by the British in the Falklands War and by the US in invading Grenada. In the post-Cold War period, amphibious forces were used during the 1991 Gulf War. The decade just past saw the trend continue. For example, the British made use of their amphibious assets in both Sierra Leone in 2000 in the 2003 invasion of Iraq. 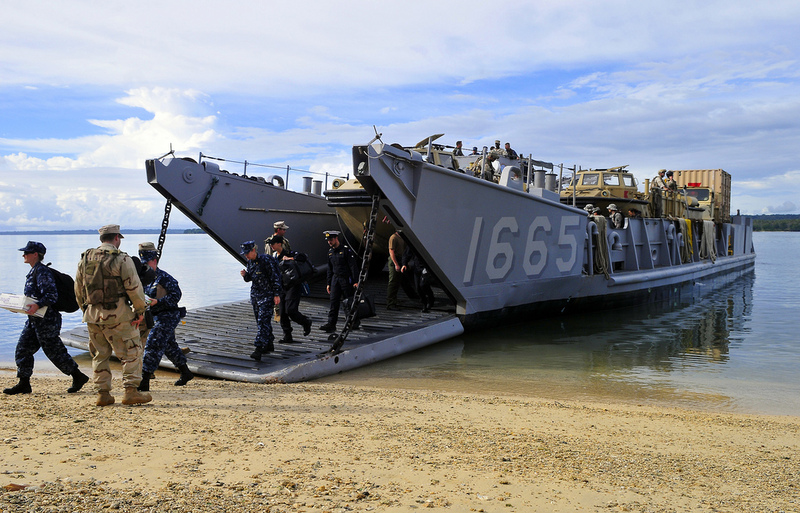 Amphibious forces have also been vital elements in US operations in the 2000s; against Al-Shabaab in Somalia and pirates in the Gulf of Aden and the Indian Ocean, as well as alongside Filipino forces in operations against Jemaah Islamiyyah and Abu Sayyaf in the Sulu Archipelago. Only this year the Kenyan military used amphibious manoeuvre against Al-Shabaab. Amphibious assets are not only critical in the strategically important littoral regions, they also provide platforms that are extremely versatile. They can operate along the full spectrum of operations from disaster relief and search & rescue through to the more tradition roles of amphibious assault—although in the contemporary era you can forget the ‘old school’ versions of amphibious forces storming the beaches à la Normandy or Iwo Jima that most people are familiar with—raid, demonstration and withdrawal. Relief operations might be a harder sell in some quarters compared to high-end war fighting capabilities, but the fact remains that they tend to happen more often than forcible-entry assaults and have substantial political effect. Amphibious forces are also multipurpose assets in numerous other ways. They are excellent platforms from which to undertake regional engagement and capacity building missions. And during NATO’s intervention in Libya, French and British amphibious assets undertook the mission of managing sea and air assets, including coordination with onshore rebel forces. For the USMC post Iraq and with the imminent drawdown in Afghanistan, the emphasis has been put back on re-invigorating their amphibious capability. The USMC commandant General James Amos recently noted that to meet the ‘wish-list of the [US] military’s tops regional combatant commands, the Marine Corps would need four times the amount of amphibious force currently available’. The demand for these flexible assets around the globe has meant that multi-mission landing helicopter dock ships such as the Canberra Class LHDs have been at the centre piece of a number of recapitalisation programs for navies around the globe. As a Janes Defence Weekly Briefing noted in July 2011, ‘[o]ver the 10 year period from 2011–2020…nearly USD36 billion [is] projected to be spent by naval forces on the construction of amphibious ships with multi-spot flight decks’. Half of this spending is by the US Navy, but the remainder includes an eclectic group of nation states including France, South Korea, China, Indonesia, Brazil, Chile, India, Malaysia, Turkey, Germany, Russia, Poland, Portugal and Australia. As Robert Kaplan has reminded us recently, geography matters. Seventy per cent of the world’s population, 80% of countries and virtually all centres of international trade are in littoral regions. Five per cent of the world’s coast line is human-made and can easily be used by ships and craft to unload. Twenty-five per cent of beaches can take landing craft, 75% of coastlines are accessible by hovercraft and 95% can be accessed by small boats. These fundamental facts will remain despite changes in international affairs. This means that amphibious forces are of increasing importance and utility, especially to major maritime states or those with a maritime strategy. Peter Dean is a fellow at the Strategic and Defence Studies Centre at the ANU. Image courtesy of Flickr user PACOM. 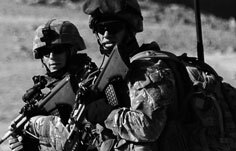 What are Defence's core capabilities?